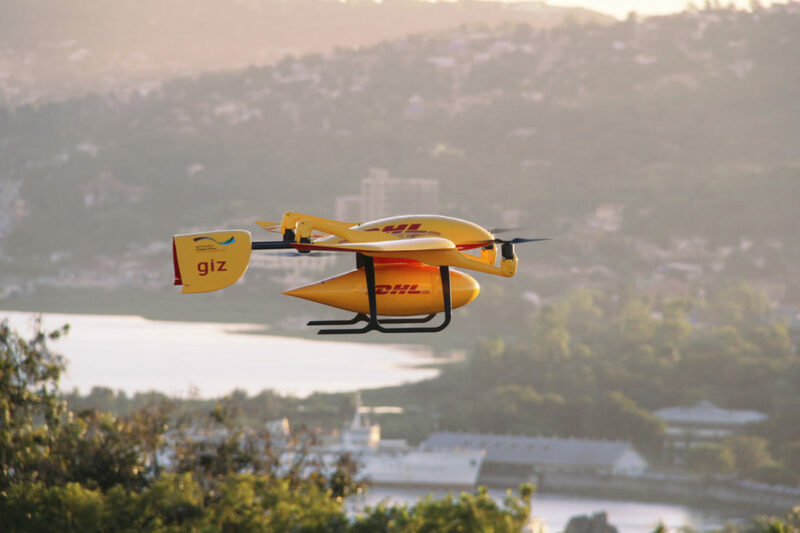 Vertical Daily News this morning reports on the DHL Parcelcopter 4.0 as it delivers medicines to an island in Lake Victoria on the northern tip of Tanzania. The Parcelcopter is a fourth generation design from Wingcopter, a German drone manufacturer. It’s found delivering packages autonomously in German mountain demonstrations and now in differently rugged terrain, flying life-saving packages to a remote island. With financial help from the Deutsche Gesellschaft für Internationale Zusammenarbeit (GIZ – The German Society for International Cooperation ) GmbH ( on behalf of the German Federal Ministry for Economic Cooperation and Development (BMZ), DHL and Wingcopter have flown a total of 1,367 miles (2,200 kilometers) and about 2,000 flight minutes in a six-month trial. The 37-mile (60-kilometer) flights averaged about 40 minutes. Compare such speedy deliveries to the time, personnel, and energy required on the six-hour overland route of 150 miles (240 kilometers). ). As Vertical Daily News notes, “That makes it nearly impossible to provide emergency medication or to quickly refill cool chain commodities that are out of stock.” Medicines and blood or tissue samples require refrigeration, and time in transit can often ruin precious commodities. To prevent spoilage, the DHL machine has an insulated cargo compartment. Wingcopter’s founders and designers, Darmstadt University students Jonathan Hesselbarth and Tom Plümmer, developed their project with support from the Technical University of Darmstadt’s Highest innovation and start-up center. Combining helicopter and conventional aircraft features, their design shows flexibility and multiple possibilities for different applications. The video gives an on-board view of how an earlier iteration fo the machine functions. Other groups such as Matternet, Zipline, and Flying Donkeys have worked in Africa to deliver medical supplies. DHL has joined them and has a history in Bavaria, testing a more sophisticated form of delivery using drones. The video shows the evolution of the DHL Parcelcopter, but since it was completed in 2016, misses the fourth iteration of the drone. DHL customers in Reit im Winkl and Winklmoosalm plateau were able to sample aerial deliveries at specially-developed Packstations, “dubbed the Parcelcopter Skyport.” 130 autonomous loading and offloading cycles were ultimately performed. Whether delivering parcels in the Alps or critical medical supplies in the veldt, DHL’s Parcelcopters show that their approach to “last-mile” delivery is an increasingly useful one.